I don't know how it happened. 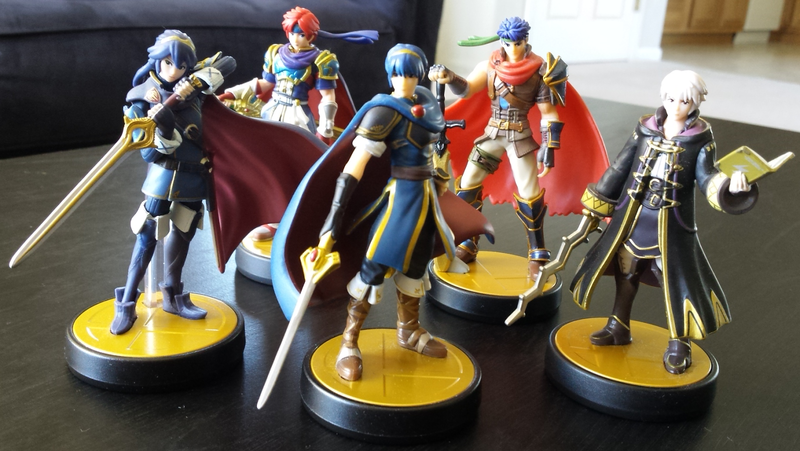 I didn't mean to start buying amiibos. I really didn't. I have been against Skylanders from their inception, and Disney Infinity didn't get my attention, either. Even when they added Marvel and Star Wars to the mix. amiibos were at least interesting to me because I could get little nice looking figurines of characters I might not otherwise have a figure of. Originally, I intended on only buying characters I cared about. 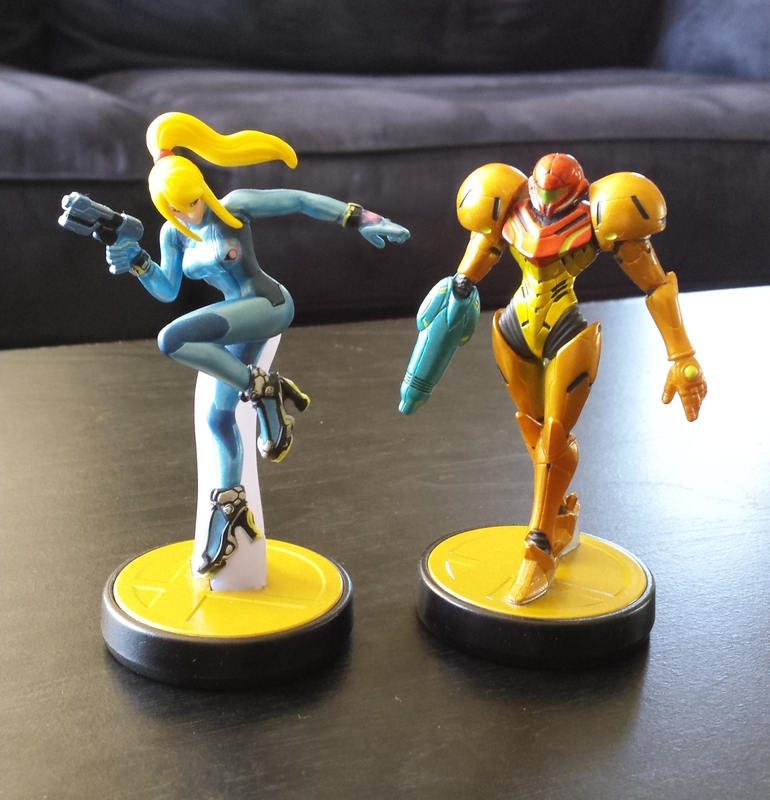 The first amiibos I purchased were Kirby and Samus from the smash line. It was a no-brainer for me to buy both of those, seeing as I am a huge fan of all things Kirby and Metroid merchandise is not all that common. 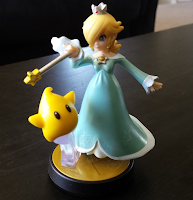 So for a while, I had two amiibos. I was satisfied. Then Mario Kart 8 came out. Mario Kart 8 allows you to put an amiibo on the gamepad and unlock outfits for your Mii racer. My fiancée and I were super into the game at the time, so of course I put the two amiibo characters in the game to unlock the costumes. I had also previously bought her a Mario series Yoshi amiibo because she likes Yoshi a lot, so we opened him up and put him in the game as well. That was pretty much the beginning of the amiibo fever which I quickly caught. By the end of June 2015 I had also acquired Dedede, Marth, Mega Man, Pit, Toon Link, and the entire Mario series consisting of Bowser, Luigi, Mario, and Toad. The Marth is the reprint version and Pit was broken off of the base in the package, so I got it for fairly cheap and fixed it with a bit of super glue. It wasn't long before 8-bit Mario, Bowser Jr. Ganondorf, Olimar, and Zero Suit Samus came out, so I got all of them on the day they were released. At this point, I knew I wasn't going to be able to stop until I had them all. Then Toys "R" Us started getting in shipments of random characters, so any time a character would come in that was "rare," I would grab one. There was a second shipment of the then-exclusive Greninja and Lucario amiibos, so I grabbed one of each. A bit after that, Captain Falcon, Fox, Little Mac, and Wii Fit Trainer also showed up, which were three characters I had assumed I'd never be able to find or at least find cheap. Shulk lost his exclusivity from GameStop and became available everywhere, so I picked up one at Toys "R" Us when he became more readily available. Before I knew what had even happened, I had a sizable amiibo collection without even really trying. Great looking Fire Emblem characters! After this, I got a text from a friend from out of the blue saying that Jigglypuff and Rosalina were available on Target's website again, so I actually went on break at work and ordered both of them. Rosalina is one that I had pretty much given up on, and that disappointed me because I'm a huge fan of Rosalina. Jigglypuff I just wanted because it was hard to get at the time and it's a Pokémon. Toys "R" Us (which is apparently a good place to go for amiibos) also had a few in their Christmas Big Book that year. The Villager from Animal Crossing got a reprint, which was one I was wanting very much. They also had a giant Yarn Yoshi that I picked up. While there, I also decided to take advantage of a buy 1 get 1 40% off sale and picked up a few characters from the Smash series that I already had in the Mario series. Bowser, Luigi, Mario, and Princess Peach were the ones I picked up. By this point, I had almost all of them except for the super rare ones. I stumbled across a used Donkey Kong at GameStop for a few bucks. He was one I was having trouble finding, oddly enough. With that, I had picked up the entire first wave of Smash series amiibo figures. Wouldn't have thought Donkey Kong would have been the last, as he was everywhere and readily available for so long. Around here is when I finished buying up the three packs of figures. I got the Mii Fighters pack and the Splatoon Three Pack which is the only way to get the Squid amiibo from Toys "R" Us, and I got a three pack from GameStop which had the Duck Hunt dog, Mr. Game & Watch, and R.O.B. in it. From then on I kept up with new releases and bought Mewtwo the day he came out. I also pre-ordered Chibi-Robo from Amazon. A chance encounter at Target got me a Dr. Mario without any effort, and I got out on black Friday and found the modern color 8-bit Mario, Ike, and Falco. By this point, I had everyone except what I would call the incredibly rare ones. After reading online about how the import versions are the same as the American versions except the package looks different, I ordered a handful of them on Amazon in a few waves. I got the import versions of Dark Pit, Lucina, Meta Knight, Ness, and Robin over the holidays, leaving me with only Palutena to get. I still haven't ordered her, but she doesn't appear to be going anywhere for the time being. Today, I have managed to get all of them save Palutena, the gold and silver Mario, the recently released repainted Splatoon three pack, and the double pack Callie and Marie. I have picked up the entire Kirby series and all of the Animal Crossing amiibos. I'm looking forward to the amiibos they have recently announced like the 8-bit Link and the new Mario wave which has another Rosalina in it as well as Waluigi and Daisy. Haven't seen or heard anything about them making a Bayonetta amiibo, but when they do, I'll be all about that one as well. 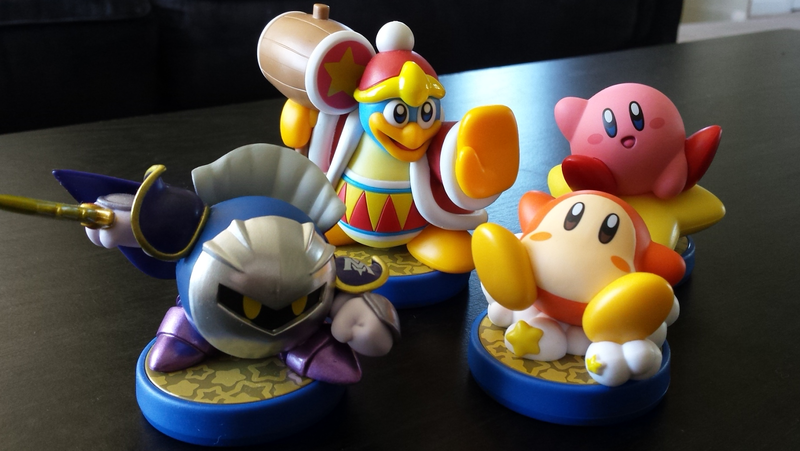 Kirby and his friendly foes! I have no doubt one day all of these amiibos will end up in a box or drawer somewhere and I'll look back on all this as a waste of time and money. Today isn't that day, though. Today I see them as nice little collectible statues of characters I like. I've enjoyed looking at them and using them in Mario Kart 8 and Super Mario Maker. And now, after writing all this, I kind of want to go buy the ones I have left to get. Excuse me.